OK, discover yet another free beauty template out of our collection. Let's call it 'Green Dress'. Our free beauty templates are actually a great option for setting up beauty salon Ð?Â±nternet site or perhaps a website for beauty parlor. So, just how exactly do we get free web templates into our selection? We search the internet for template designers which provide free templates and we hand-pick the finest samples of their templates to end up being featured in our selection. We then check it to be standards compliant and valid - only after that it becomes available to our website visitors. Oh well, now tell me - why all the hassle? Free means substandard quality, right? Are free fashion templates worthy? I'm not boasting, however, really, most of our free templates are not only beautiful but also standards compliant, i.e. valid HTML/CSS. 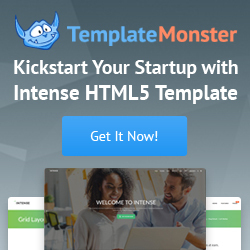 You've almost certainly seen lots of sites delivering free web templates. How is Website Templates Online better? Well i guess, numbers game - we've got a selection of 1000 free templates. And that's not all - we are adding them on a daily basis. There are actually tens of thousands of them out there on the web, certainly not each of them is good, but still you'll find at the very least one or two free web templates suitable for your website subject matter and requirements. Lots of work and inspiration are devoted to nowadays free web templates - these are no more a play ground for total newbees, today the experts of website design are filling the market with the samples of their high quality products - just for fun and completely for free. We hope that our free beauty template is exactly what you were seeking for your beauty salon website.